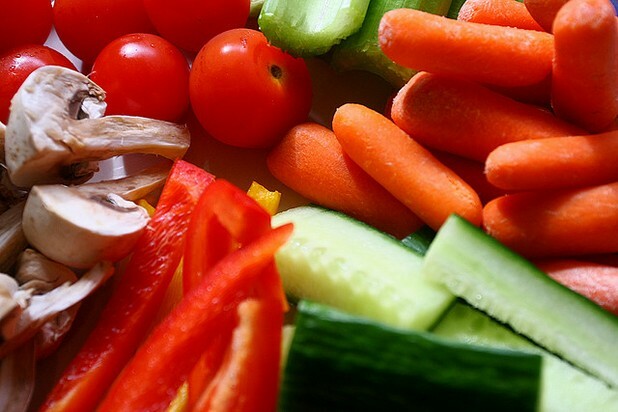 Eat more fruits and veggies and be happier? Well, maybe so - researchers at the University of Warwick and Dartmouth College can’t explain why, but after looking at the dietary habits of some 80 000 people in the UK they can say that on average, people that eat more fruits and vegetables are happier individuals. The researchers analyzed data from a large sample of study subjects to see how eating fruits and vegetables affected mental health and happiness. For the data, the researchers accessed three cross sectional health surveys of approximately 80 000 randomly selected citizens of the UK. Each health survey provided information on dietary habits and on happiness and well-being factors, such as life satisfaction, mental well-being, presence of mental disorders, nervousness, low feelings and self reported health and happiness. Even after controlling for confounding variables related to socioeconomic advantage they found that people get happier as they eat more fruits and vegetables. Although many governments recommend 5 portions per day to reduce cancer and cardiovascular disease risk, in the UK about a quarter of the population eat 1 or fewer portions of fruit or vegetables per day and only 10% consumed 7 or more portions per day. 7 a Day for Best Results: The researchers say people tend to get happier as they eat more servings per day, until benefits level off at 7 servings per day.